Most of us spent some time as children playing Monopoly. The more properties you buy the more rents you collect. “I’ll buy Mayfair, its rents are high. Rent please!” Sooner or later you opponents are out of the game and you win. I was intrigued to learn on TV3’s The Nation (Sat 6 Sept 2014) that Capital Gains Tax as proposed by Labour includes the gains you make on shares. I thought the whole idea of CGT was to discourage investment in property and encourage investment in the productivity sector. When replying to Lisa Owen on that point, Labour’s David Parker said it was quite fair. “The ordinary worker pays tax on every cent they earn so why not shareholders,” he said. Well the gains on shares – which are earned and which are merely windfall profits? 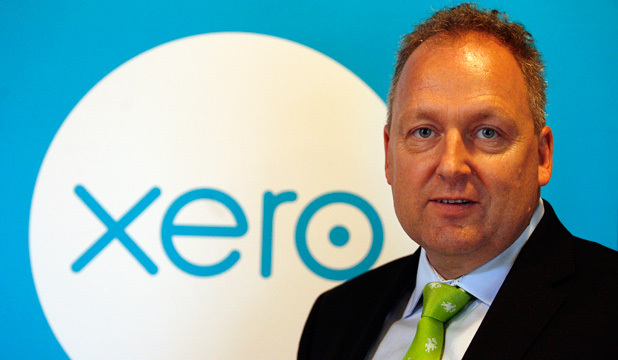 So I did some looking at the property investment companies listed with NZX and compared them with Xero, a software accounting company which makes its money from its leadership and its labour, and with A2 milk an innovative science based health oriented group. So thinking about investment and looking at the various types of companies, let’s look at New Zealand’s big property companies – Kiwi Income Property Trust, Goodman Property Trust, Argosy and DNZ. 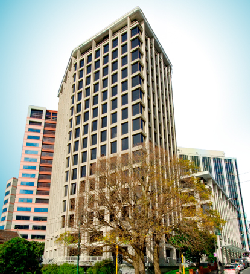 The National Business Review in 2012 said “listed property companies outperformed the NZX50 last year” The listed property companies reported 11.8% growth compared to the NZX50's 0.4% growth. There are 10 listed property companies in New Zealand and seven of them are listed on the NZX50 and account for 9.7% of the index weight. If you want to know who owns the most valuable land in the country look no further than the listed property companies owning property in central Auckland and Wellington. Their skyscrapers house tenants as secure as Government departments and all the big names in retail and office. DNZ has warehouses at Wiri and Penrose that dominate the landscape. Take Precinct Property for example. Their Wellington buildings included HP Tower, 125 The Terrace, State Insurance, Vodafone on the Quay, Pastoral House, No 1 The Terrace, Mayfair, AXA, Deloitte, 3 The Terrace and 29 Willis Street. 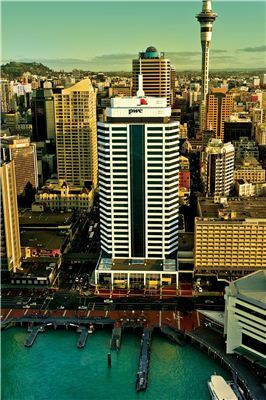 In Auckland they have the PwC Tower, ANZ Centre, 151 Queen St, 21 Queen Street, and AMP Centre. Tenants include big law firms, big retailers, finance companies, Fonterra, Air NZ. Hewlett Packard and so on. Argosy has properties in Woolston, Christchurch and the Albany Megacentre. Its tenants include The Warehouse, Briscoes, Mitre Ten, Bunnings, Farmers. Every major shopping mall in the country seems to be owned by one of these property companies and they report occupancy rates between 96-99%. Tenants in shopping malls are NZ chains, international chains and supermarkets, with only about 10% being independent stores. What is most intriguing is that they tend to borrow to invest, and Precinct has 37% leverage. (I recall just before the 1987 crash people borrowed to invest in shares and where did that end?) And they all keep acquiring new properties. Every year, their equity rises as properties are revalued higher each year, due to the activity around them. When I looked at the shareholders of Precinct, (called a PIE or Portfolio Investment Entity for tax purposes) I found something new. Whereas in the 2010 annual report the shareholders didn’t raise an eyebrow, by 2013 report the major shareholder at 20% was National Nominees. Curious, I looked up the directors and found them to be four women, all with Sydney or Melbourne addresses. They each worked in a top managerial role in National Australia Bank. This means that New Zealand’s most valuable land, our inner city land in Auckland and Wellington, is 20% owned by a Precinct, which is owned by an Australian bank, which in turn is largely owned by a variety of international banks. As someone tweeted back, “Nothing surprises me any more”. Now what has this got to do with Capital Gains Tax? Well, firstly that property investment firms like Precinct will have most to lose from a even a very mild Capital Gains Tax and will be fighting it tooth and claw behind the scenes. The point of Capital Gains Tax was, I believe, to get investment money directed to the productive sector not into land speculation. And why we pray can’t we invest in firms like Xero or A2 milk, both of which are based on entrepreneurship and labour, without being taxed? David Parker says it’s because workers are taxed on every dollar they earn so why shouldn’t investors be taxed. I thought that was what you wanted David? So why tax it? Your logic fails me. A complete inability to differentiate between land, capital and labour is at the root of the poor thinking on Capital Gains Tax on shares. When men as bright as David Parker and David Cunliffe blunder into this, they should have time off to think. We in the New Economics Party say Government should tax what we hold or take but not what we do or make. Taxing labour is illogical. Taxing the monopoly use of the commons like land and minerals is logical.